Artists perform your favorite tunes every minute, of every hour, of every day on many different platforms. But have easy-access music streaming platforms fragmented the industry? Twenty years ago, when Napster first appeared, the music business was one of the first to be disrupted by this digital world. It went from making money selling vinyl and CDs to losing money from digital downloads and streaming. Napster, Kazaa, Limewire, and torrents changed everything. But why? You can make the argument that there were bad players, looking to take artists for their money and save a buck or two…or, you could look back and recognize one simple truth—fans knew the industry was fragmented. We knew there was something off about the music space…so much so, that we would literally do anything to avoid going to a store and paying $20-$30. But, at the end of the day, were artists affected? Of course. Was the RIAA hurting? Absolutely. But, let’s switch gears for a moment. What if this behavior wasn’t an attack on artists, but was simply the spark that ignited what has now become the battle for musical creation, distribution, and recognition? Could the start of the era of illegal downloading and acquisition have something to do with the industry’s early cry for help? To find out, it’s important to predict how blockchain technology could bring the music industry back to its peak. Applying the law to the blockchain, we look to the concept of “smart contracts.” These agreements, once executed, help to govern the terms that bind a band, label, and/or manager together when it comes to producing a song or an album. Logging all the rights a song owner has or may have to a specific song is vital in ensuring artists are recognized, protected, and compensated for their hard work. Metadata, which accompanies tracks, contains the information as to the track and its rights holders. But this data is often missing, incomplete, or can be stripped away at the expense of the artist not getting paid. The blockchain allows for this information to be permanently recorded on it without the need to worry about potential human interference or alteration. Did you know that it can take anywhere from 1-2 years for an artist to see the profit from their track or album? The long, drawn out process from when an artist first records to when they see the bang for their buck is what is killing the industry. Implementing blockchain technology, artists are able to receive their share almost immediately, instead of waiting months or even years. There is no question that there is a disconnect between the artists and fans. Unless you’re attending one of their private shows or concerts, that is. But, shouldn’t both the artist and listener be more connected, without intermediaries making it almost impossible? Creating a referral program where the fan can monetize playlists or feature certain artists in their libraries would incentivize users to grow their libraries and connect with new artists. At the same time, artists are able to include parameters in their smart contracts which would share a percentage of the revenue generated with those fans who share their songs or playlists. 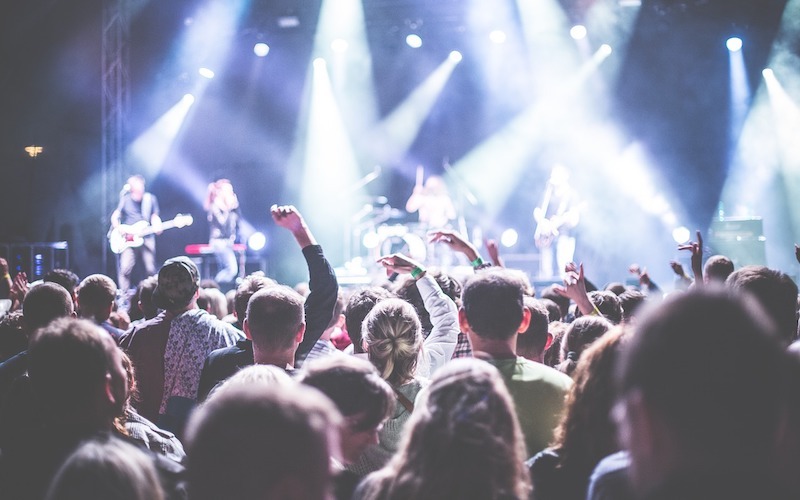 Additionally, artists could issue their own tokens which fans can purchase and/or earn to become eligible for special events, merchandise, or meet and greets. For example, artists like Imogen Heap, Björk, and DJ’s Gareth Emery and Bjorn, have taken charge in integrating blockchain into their music and genre, as you’ll see below. One of the first artists to toy with the idea of implementing blockchain was Grammy-winning British singer and songwriter Imogen Heap. Back in 2015, Heap launched the song “Tiny Human” on the Ethereum Blockchain, using her own blockchain startup, Ujo Music. As of today, she is continuing to advocate for the technology, creating her own startup, MyCelia. According to Heap, when she first utilized Ujo Music, her vision was “to take the power from the top down, and give power, or at least a direction to the artist to help shape their own future.” It seems now it’s become more about connecting the artist directly with the fan.